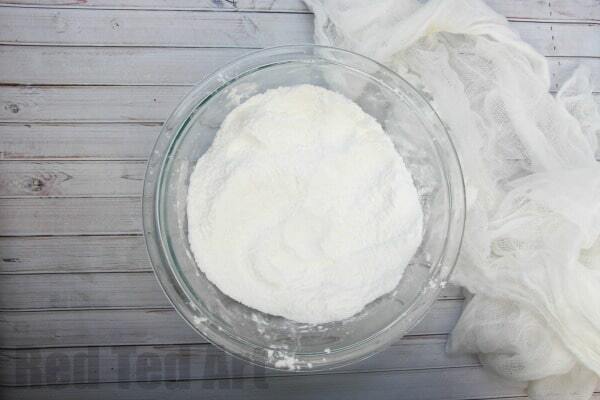 Ever wondered how to make bath bombs? 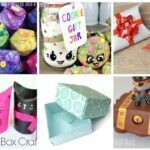 Well.. wonder no more.. today we will show you not only how to make a bath bombs, but how to make ghoulish Halloween Bath Bombs – a perfectly horrid Halloweend Gift idea….. 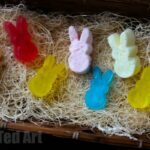 They compliment our previous Bath Bomb Recipes really well (we have a great “no citric acid” recipe – using store cupboard staples, as well as a super fun Easter Bath Bomb recipe). 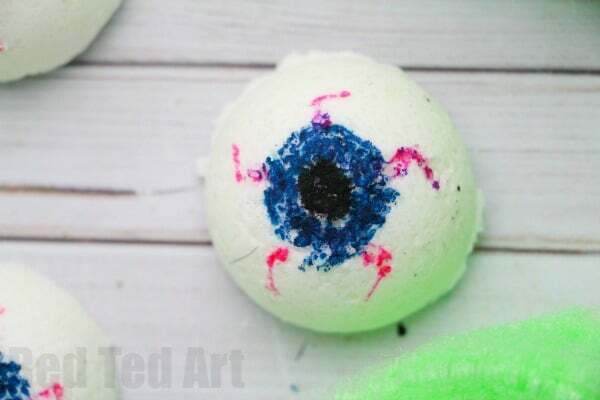 Today’s bath bombs are all about Halloween and gorgeously gory EYEBALLS! 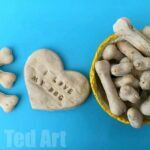 Handing over to Jennifer for this great guest post! 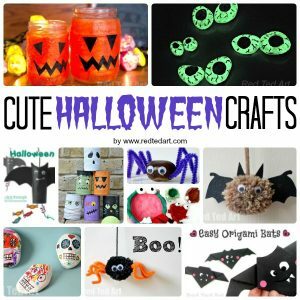 These fun non cany Halloween gifts were first published in Oct 2017 and have been republished and updated for your convenience! 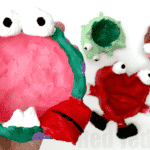 Not all Halloween treats need to be edible – in fact, sometimes it’s more fun when they’re not! 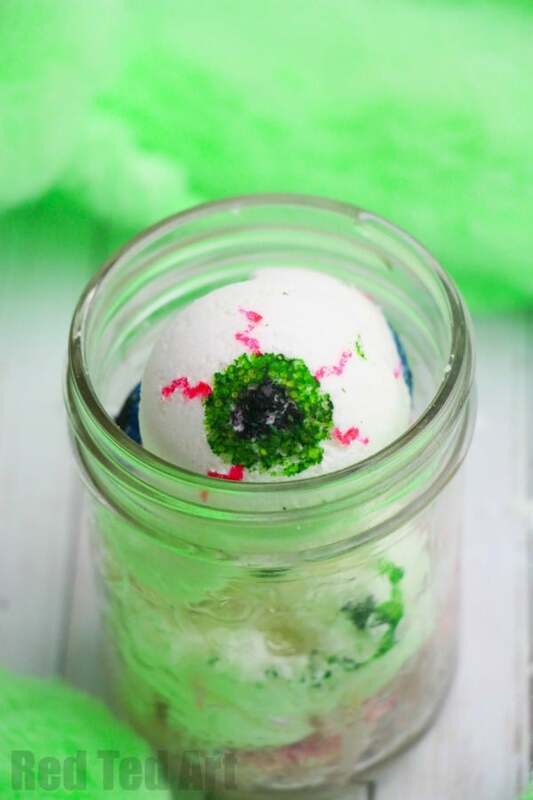 These Spooky Eyeball Bath Bombs are a fun addition to your bath time routine with some added good-for-you benefits! 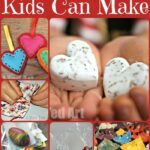 I love how easy it is to make homemade bath bombs – and I’m pretty committed to it ever since that horrible day when I paid $11 for a SINGLE BATH BOMB at a certain over-patchouli-ed store we all know. 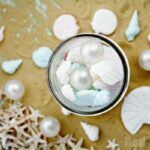 While the initial purchase of your bath bomb materials may run you a bit more than that, you will be able to make dozens of customized bath bombs – for any occasion, theme or holiday you wish! I love being able to whip up a few bath bombs for a special birthday present, or just as a fun treat to relax with during a busy week. Adding essential oils for their relaxing (or other health-related) properties is also a nice treat, or you can just add food-grade extracts for a nice smell. It’s all personal preference and completely up to you! 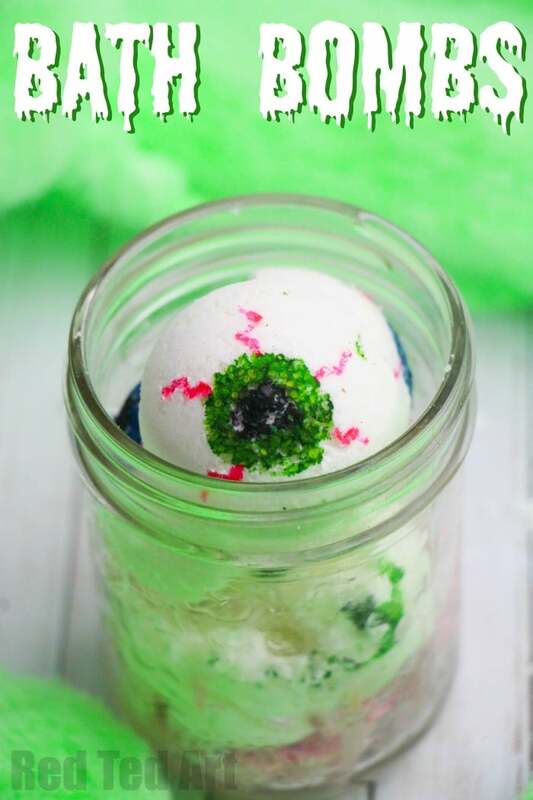 In addition to these Eyeball Bath Bombs, we made Bubbling Cauldron Bath Bombs and a Pumpkin Pie Sugar Scrub! Mix the dry ingredients together very well, add any essential oils or food dye to the coconut oil and slowly mix the coconut oil into the dry mixture — adding only droplets at a time to avoid having the dry mixture react. Slowly add the water until the mixture resembles wet sand. 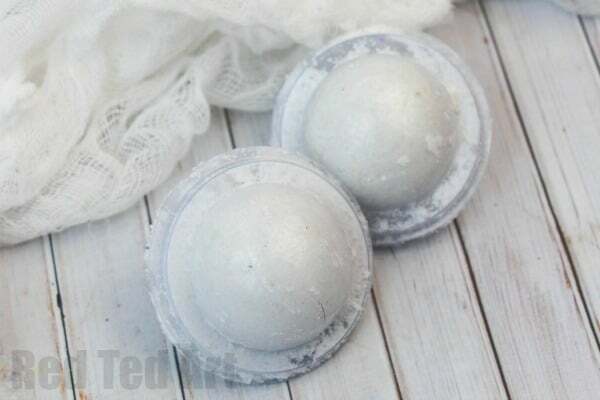 Scoop the mixture into your bath bomb molds and press the two sides together firmly for a round ball, or dry separate to make more, small eyeball bath bombs. Let the bath bombs dry overnight and then tap the mold well with a spoon to release and pop out. 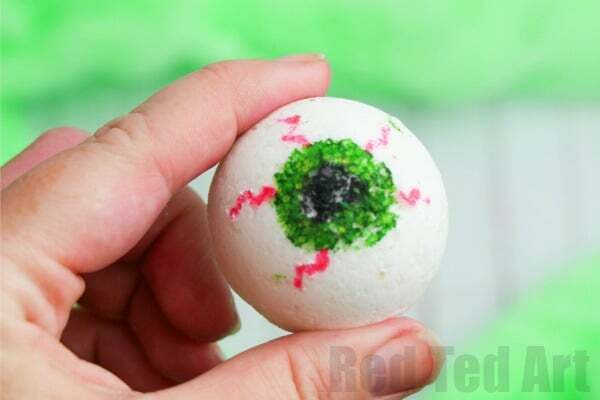 Place the bath bombs on a completely dry and clean surface to draw on the eyeball features with the food dye pens. You may need to use a dabbing motion to avoid the bath bomb crumbling as you draw. Let the food dye dry completely before storing in a mason jar or wrapping with cellophane for a cute homemade Halloween gift. What do you think? Aren’t these “Halloween Treats” simply fabulous? 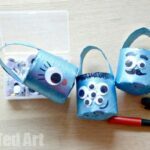 Love that you can give some great “no candy Halloween treats” to friends and family. 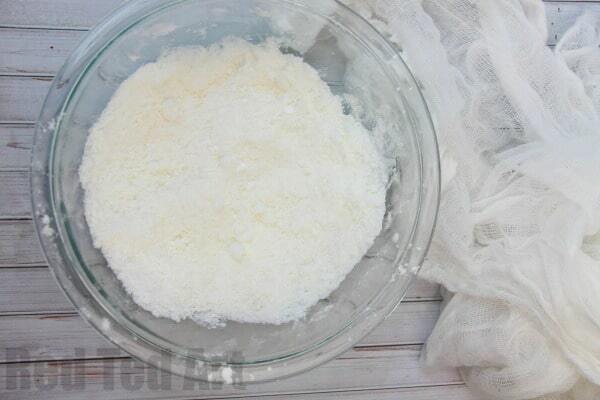 We have a great “no citric acid” Bath Bomb Recipe for you to try out too! Wonderful! 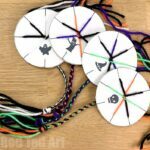 Amazing DIY! Looking perfect!